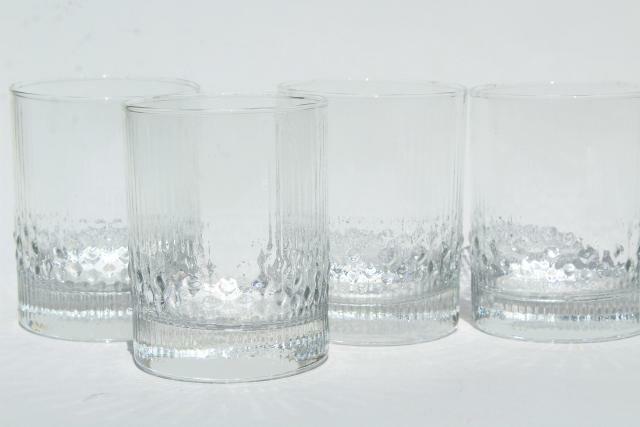 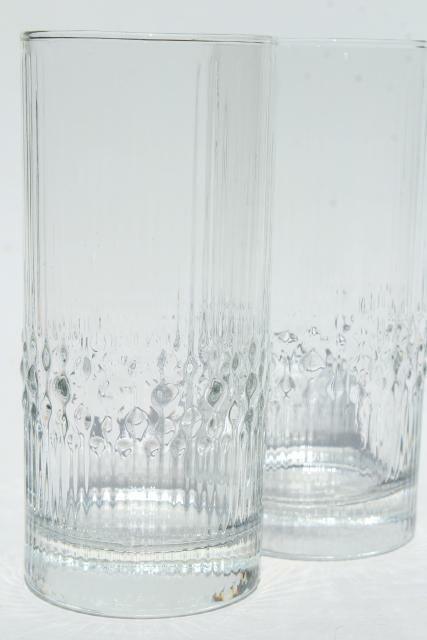 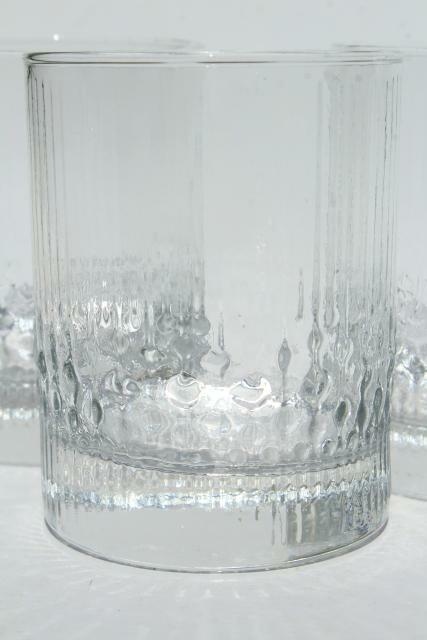 Vintage ice texture glass highball and lowball glasses, Iittala Niva pattern? 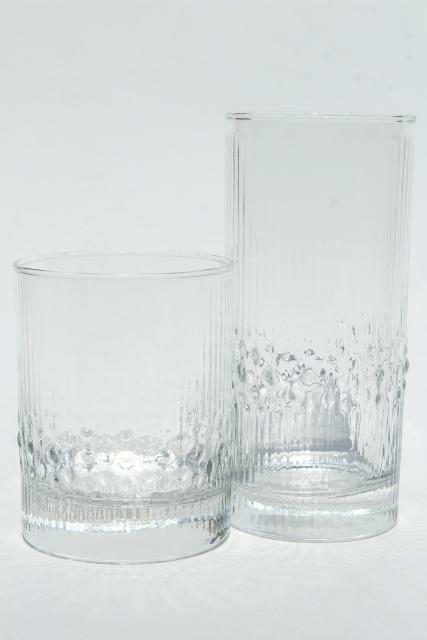 These are nice and heavy, crystal clear glass. 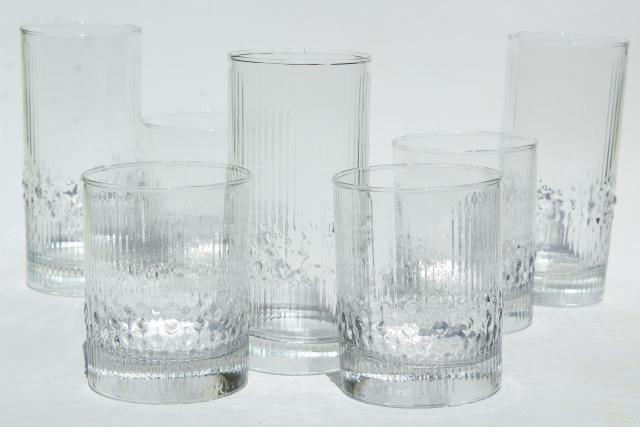 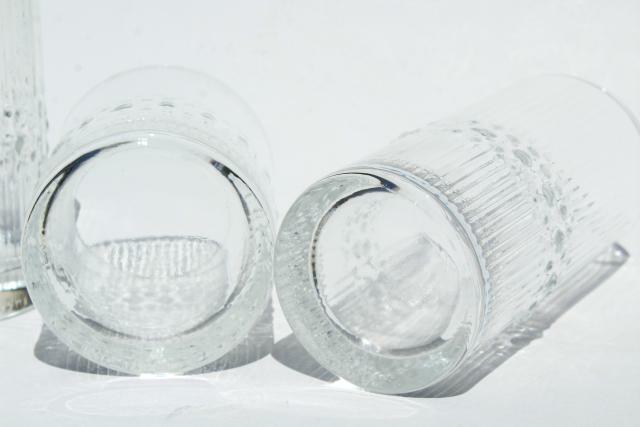 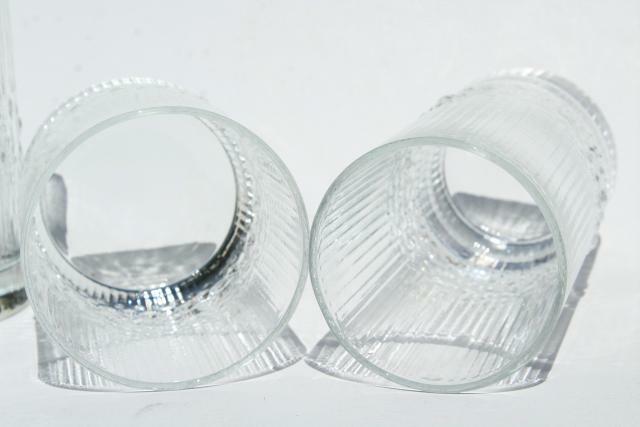 There's four of the old fashioned / low ball glasses, about 4" tall x 3" in diameter. 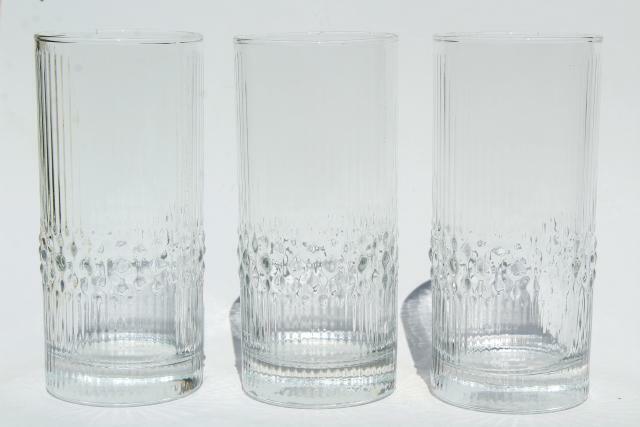 There's just three of the highballs, about 6" tall.